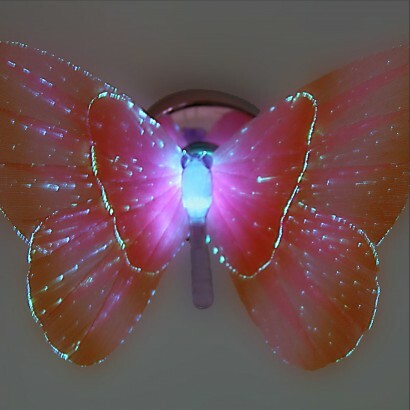 A pretty decoration for kids rooms and around your home, these decorative magic butterflies are lit by delicate fibre optics that highlight the wings with a pretty colour change glow. 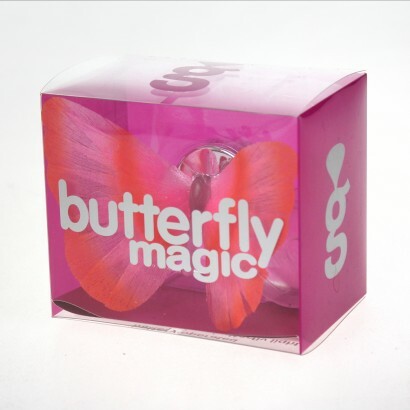 Stick to surfaces using the suction cup included to add decorative light to your room with a magical fairy light effect. A stunning display of colourful translucent wings and colourful fibre optics. very pretty but a shame you have to remove from holder to turn on and off switch needs to be elsewhere.